KAMPALA – The Parliamentary Committee on Commissions Statutory Authorities and State Enterprises (COSASE) has on Thursday arrested both the driver and bodyguard of the former Executive Director, Banking Supervision at Bank of Uganda, Justin Bagyenda to help on investigations on the items that were stolen from the Central bank. 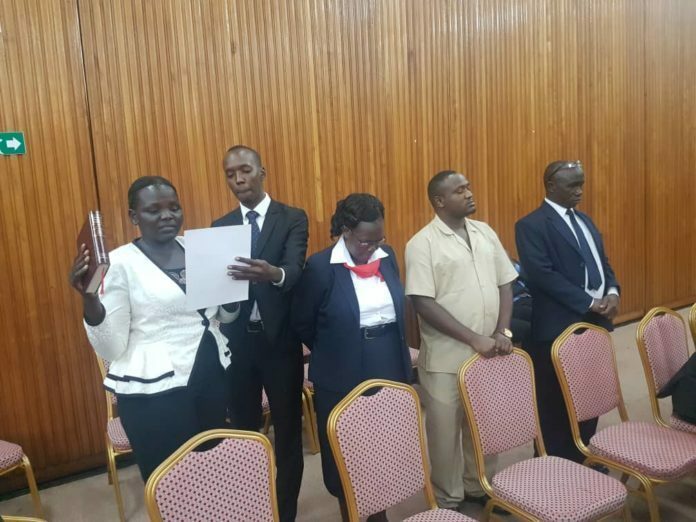 The directive to have Juliet Adikolet (bodyguard) Job Turyahebwa (driver), Beatrice Kyambadde and Charles Omoro who manned the security of the Banking Supervision department came after the two were found to have lied about the movements of the items while on oath. Franis Takirwa (UPDF Representative) who headed the Select Committee to investigate the matter tabled his report before Parliament after the questioning of the four suspects where he told the Committee that the duo denied knowing the contents of the bag, despite some of the carriers materials being open. “The two told us that they didn’t know what they were carrying and fortunately, Juliet carried something that was open, plastic bag, it wasn’t sealed but she couldn’t see inside because she was concerned with security and didn’t bother to know what she was carrying. Job the driver also answered same way he didn’t know what he carried from the Bank to the vehicle on the evening of 10th February 2018,” Takirwa said. 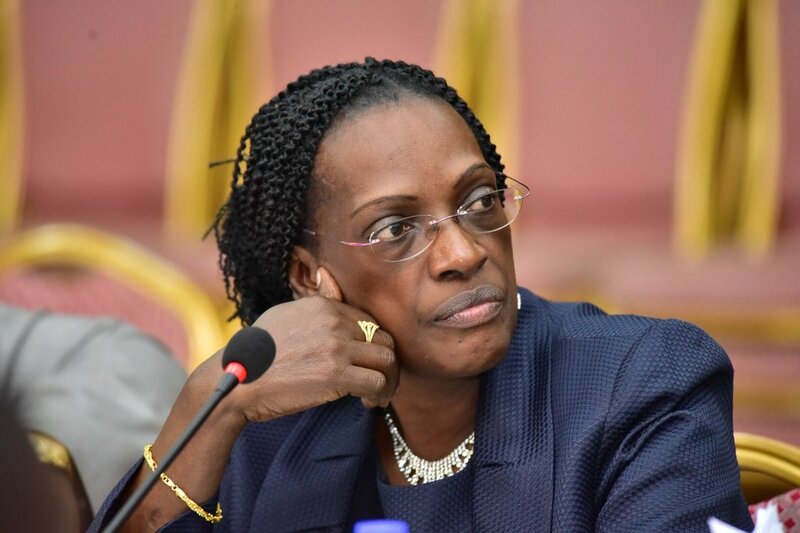 When questioned about the movement of the bags, Bagyenda’s driver is said to have said that when they took off from airport at around 2-3Pm, they never made any stop but arrived at the Bank at 6:23Pm meaning it took the team 6hours to move from the airport to the bank. In their conclusions, Takirwa told the Committee that an emergency door was open by the time the team arrived inside the Bank despite the fact that the Bank is only used for emergency purposes. He said that despite the Security Guidelines stipulating that all persons and items entering and leaving the Bank have to be checked, this guideline wasn’t followed saying, “There was a lot of negligence on part of security officers who knew what to do but didn’t do what they should have done. Their input didn’t do much, none of them knows what it was and it remains a puzzle,” Takirwa said. 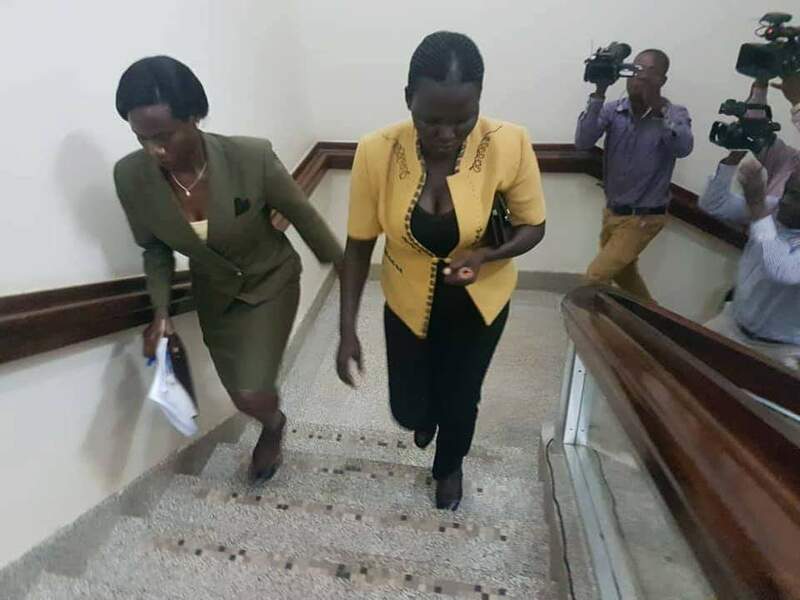 It was then that COSASE Chairperson, Abdu Katuntu called on Milton Orech Opio, the Head of security, Bank of Uganda Security to produce the tracking system of Bagyenda’s car a V8 Land CruiserUAR192Y which detailed movement of her vehicle on the day the documents were returned. As opposed to claims by Bagyenda’s bodyguard and driver that the never made a stop after leaving the airport to Bank of Uganda, the tracking system indicated that the car parked at Kiswa in Bugoloobi from 1:57Pm to 4:59Pm and later drove back to the bank where they arrived at 6:24Pm. The driver said: “We have been moving a lot, but when he was reading the records, I remembered where we passed. Katuntu also handed over the two security personnel who were manning the premises at the time the bags were sneaked out to Police for further investigation and tasked Police to avail a weekly report about the suspects until investigations into the probe are concluded.